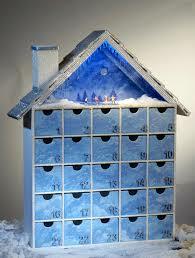 Newsletter: What can we learn from an Advent calendar? Grace and Emily are enjoying their “chocolate a day” Advent calendars, a gift from Grace’s magical godmother, Laurel. Finding the correct number for the day seems like the hardest part, especially for Emily, because honestly, who cares about the technical difference between the number 1 and the number 11 when you are not even three years old, and there is chocolate on the other side of each little paper door? But Grace is very dutiful about making sure she is only consuming the assigned chocolate for the day, and she always pauses politely to examine the little chocolate picture first. “Look, Poppy…it’s a candle.” “Hey, it’s a…is that a ball or an apple?” She always wants to know. When I was growing up, I found some windows in the Advent calendar more satisfying than others. I liked the ones that let you glimpse into a little room and imagine a whole little Christmas world. The tantalizing, big window that turned out to be nothing more than a picture of a big, steaming cup of hot chocolate or a teddy bear? Ho hum. I didn’t realize it then, but those calendars were offering an important education about Advent. Because like those calendars, Advent is about discovery, and especially about discovering something holy and precious that might be very small: say, in a cup of hot chocolate, or a candle in the window, or an old bear pressed back into service for the season. Advent is about waiting and expectation, and about working through our own impulses to be disappointed when we don’t get exactly what we think we want–and about doing that working through so that we can discover the beauty of whatever it is we encounter. Because focusing exclusively what we think we want is an inadequate way of living, and especially so for people who put their faith in a God who offers us more than we can ever ask or imagine. I hope you will seek a renewed relationship to that God, our God, in these days before Christmas. Seeing the holiness of small things is a great way to start. This entry was posted in Uncategorized on December 3, 2014 by maxgrantmg.